The holiday season may bring more eyes in the sky as consumer purchases and interest in drones continue to soar in Central Florida. According to national media reports, about one million drones, also referred to as unmanned aerial systems or UAS, may be given as gifts during the holidays. 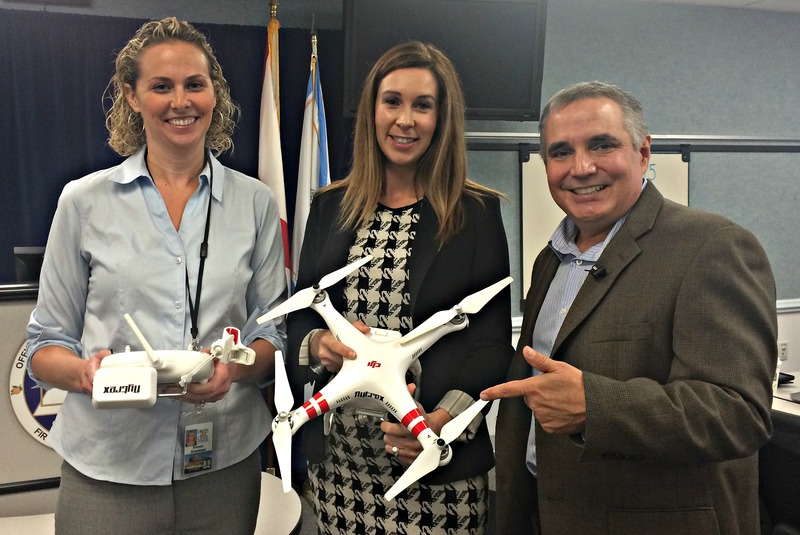 In an effort to address the increased presence of drones and concerns regarding privacy and public safety, nearly 50 communication professionals from throughout Central Florida gathered at the Orange County Emergency Operations Center on Dec. 17 to discuss the surge in drone popularity with Dave Sirak, WFTV’s Director of News Technology. Sirak is a 17-year veteran at WFTV Channel 9 and is considered an industry expert in media technology and logistics. The popularity of drones and their increased availability to general consumers have prompted municipalities and aviation agencies to introduce more regulations pertaining to drones. There are two major types of drone operators – the hobbyists and those who use them for commercial purposes. The Federal Aviation Administration (FAA) has a new rule that all drones weighing more than “two sticks of butter” (i.e., 0.55 lbs.) must be registered. There are strict regulations on commercial operators. The FAA is also issuing exemptions to state and local governments as well as educational institutions for research and study. WFTV is the first news station in Central Florida to be issued an FAA exemption to operate drones commercially. The FAA has issued more than 2,600 exemptions to Operators in the United States – many of them are used by the film and agricultural industries. One of those rules is that you must obtain permission to fly a drone in areas that are not your property. There are also many official “No Drone Zones,” including the Florida Citrus Bowl and local airports. Drones can be costly and dangerous to aircrafts. Orlando ranks No. 11 in the nation in the number of aircraft accidents related to drones. Sirak suggests downloading the free app called Hover, which provides a range of information including real-time weather, an aggregated news feed and no fly zone maps for the United States. Additionally, the Remote Control Association of Central Florida offers free drone safety courses and is also an excellent resource.